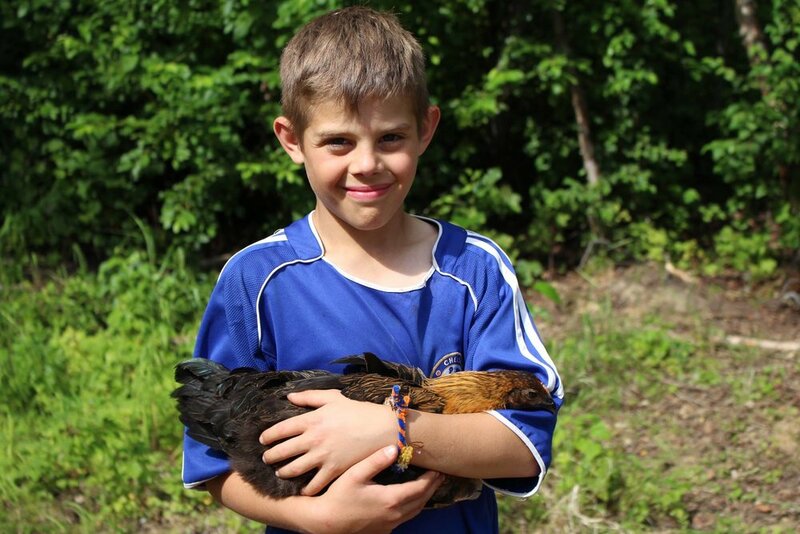 The camp continued to take care of hens and added 30 broilers (meat chickens) to the farm! The broilers were butchered in August were sold at the camp’s first chicken auction. Over $3,000 was raised to be put back into the camp. G2A also began beekeeping and had a hive of more than 300 bees. Our interns spent the summer helping the bees build up their honeycomb, and the camp hopes to start harvesting fresh honey soon. 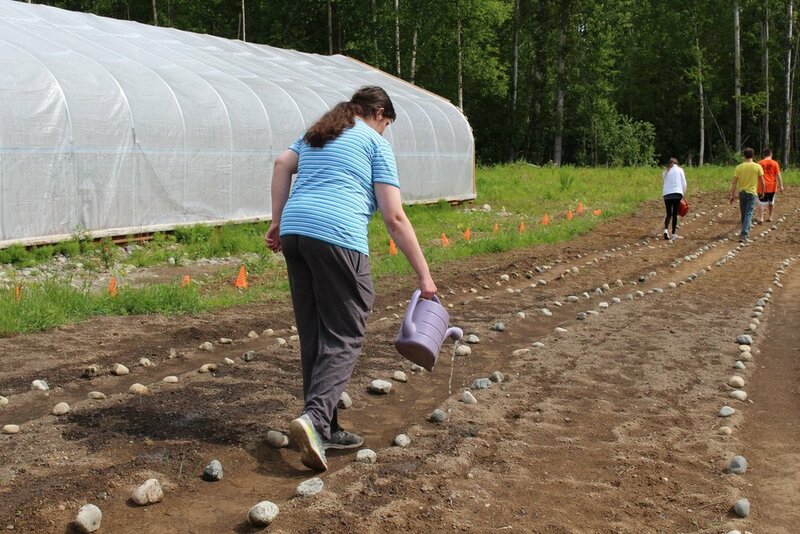 Gateway to the Arctic Camp expanded it’s inclusive employment program and hired on four new employees. These guys worked extremely hard and learned valuable skills in farming, carpentry, and construction. Gateway to the Arctic Camp added 11 chickens to the farm! 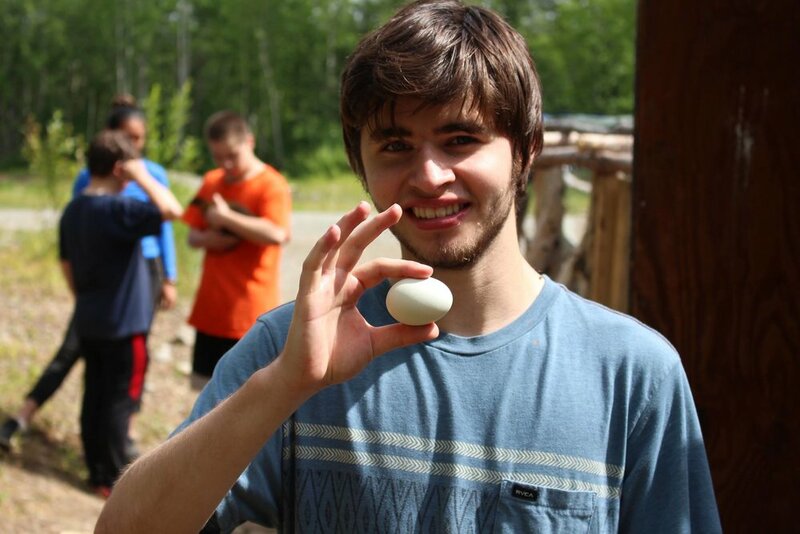 The addition of livestock was a hit with the campers, who loved feeding them and collecting eggs for their meals. This was also the camp’s first year tapping birch trees, and volunteers produced more than five gallons of birch syrup. G2A was proud to introduce its inclusive employment program at this year. As the camp continued to serve those in the special needs community through camps, G2A saw a need for meaningful employment opportunities for these individuals. 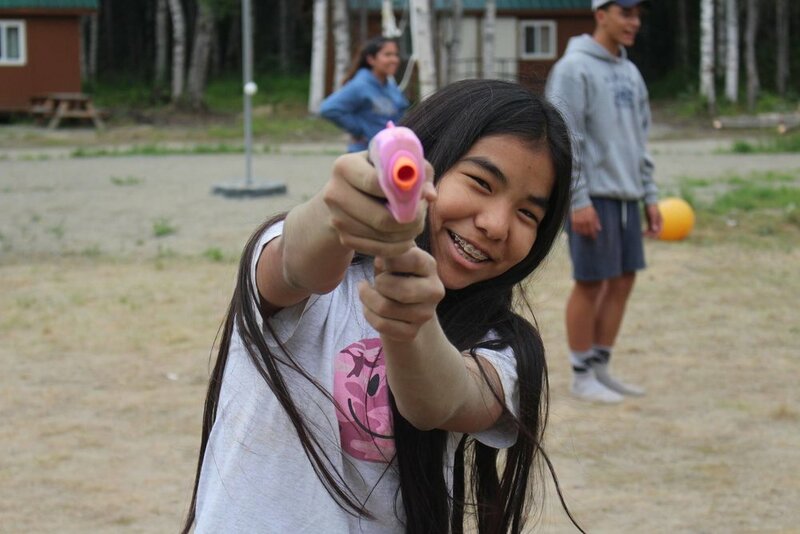 In response to this, the camp partnered with Nadon Family Home and hired two new employees through the program. The major construction of the Keystone Lodge was completed. Additions to the lodge included a kitchen, bathrooms, installation of a large wood burning stove, pine paneling on the walls and the ceiling, and the construction of an arctic entry. The addition of the wood burning stove allowed the camp to heat the lodge in the colder months and lengthen the availability of the camp to year round. G2A added a sauna, a sap evaporator pavilion (or “Sugar Shack”), raised garden beds, and a new agricultural field as well. In May of 2015, the camp hosted a men’s retreat. Over 40 men participated and they built “The Village,” a set of five cabins at the camp. 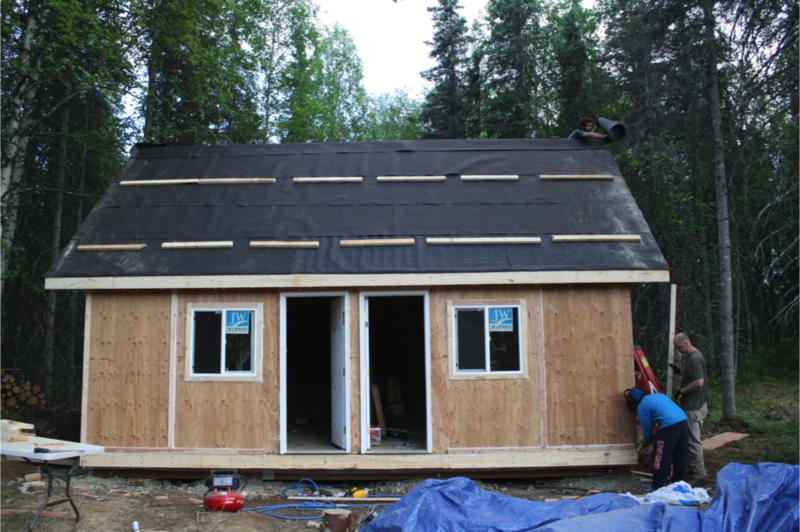 Amazingly, these five cabins were built in four days with the help of so many people. During this retreat, a playground was also completed. The construction of the Keystone Lodge began, a tribute to Stephany Nadon’s family ranch. In 2015, the concrete footing was set, the posts and beams constructed and set in place, and most of the exterior walls were constructed. As G2A continued to assess its communities needs, it saw another underserved segment of our population: the special needs community. 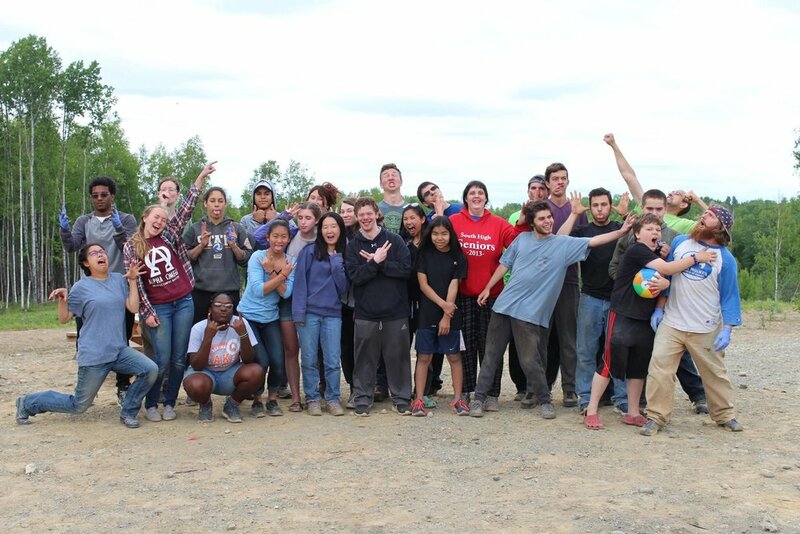 Thus, the camp began partnering with organizations that served individuals who experience disabilities and provided two specialized, inclusive camps to meet their needs. Gateway to the Arctic Camp put up a high tunnel greenhouse, planted a garden, and held its first camps in partnership with chapters of the Boys and Girls Club. That summer, “Ted’s Shed” — a shed built by Ted — was also put up. For the next few years, this structure would act as the camp’s main meeting place, outfitted with a small, generator-powered kitchen. Although people no longer had to stay in tents when they came to the camp, there was still no running water or electricity. 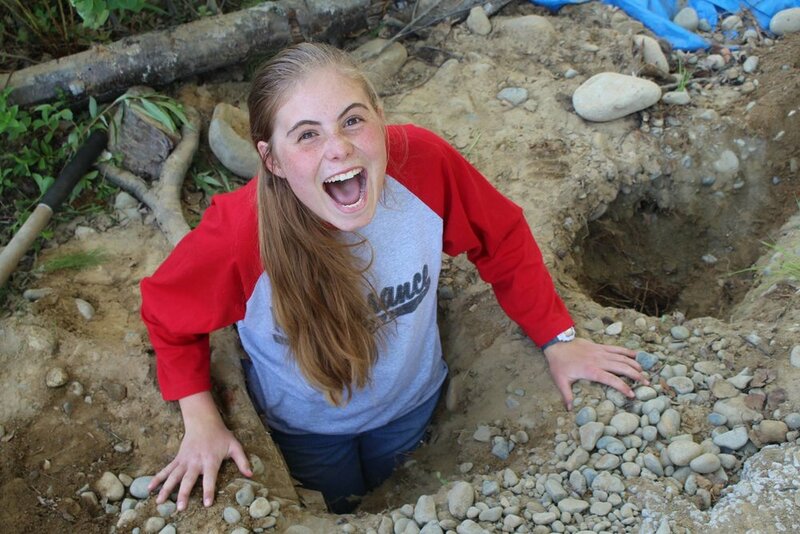 Starting with 101 acres of Alaskan bush, volunteers spent that summer clearing trees with the vision of building a camp that could meet the needs of Alaska’s most underserved populations. In just a few short months, more than eight acres of fields were cleared, and four cabins and a road were built. 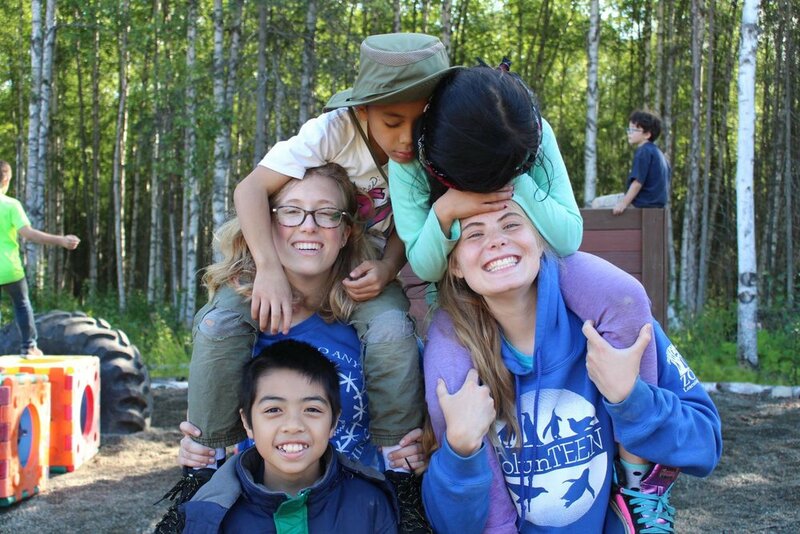 Gateway to the Arctic Camp was established in the summer of 2013 by Alaskans who have passion to serve exceptional youth. Located on 101 acres of Matanuska-Susitna Borough property at Mile 100.5 of the Parks Highway. 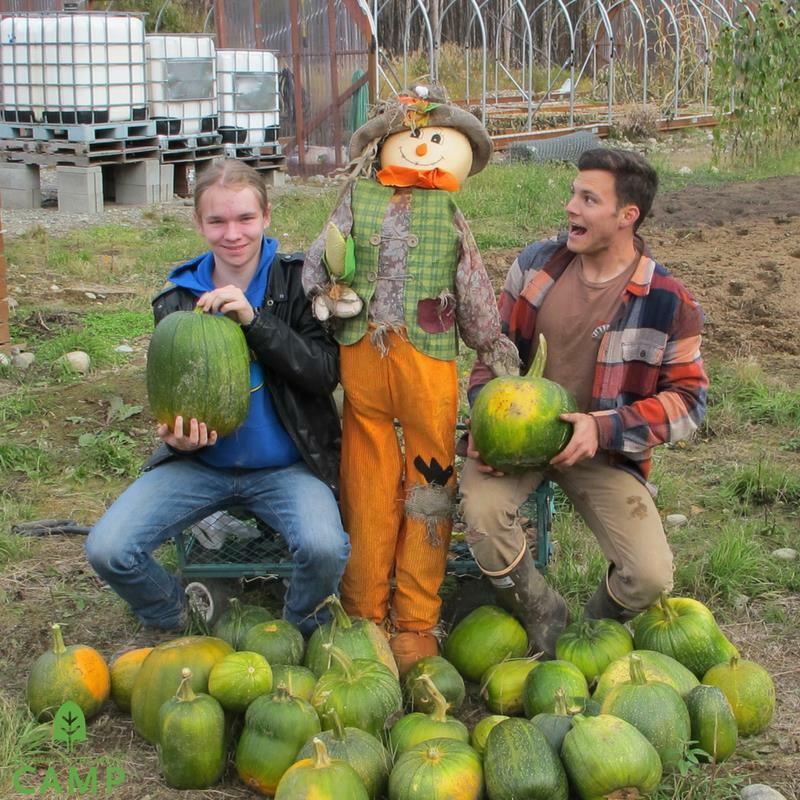 The state of Alaska is in dire need for a sustainable organization dedicated to cultivating the lives of underprivileged youth. 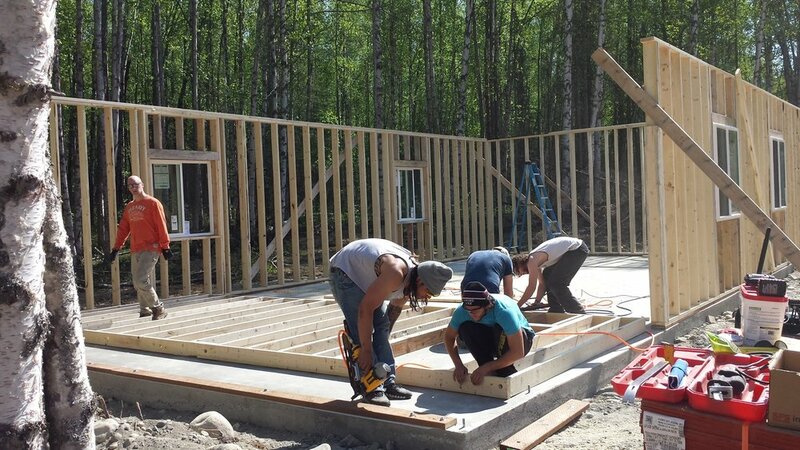 Gateway to the Arctic Camp intends to provide the sustainable high-impact services needed. Gateway to the Arctic Camp is the product of the vision and initiative of Ray Nadon.